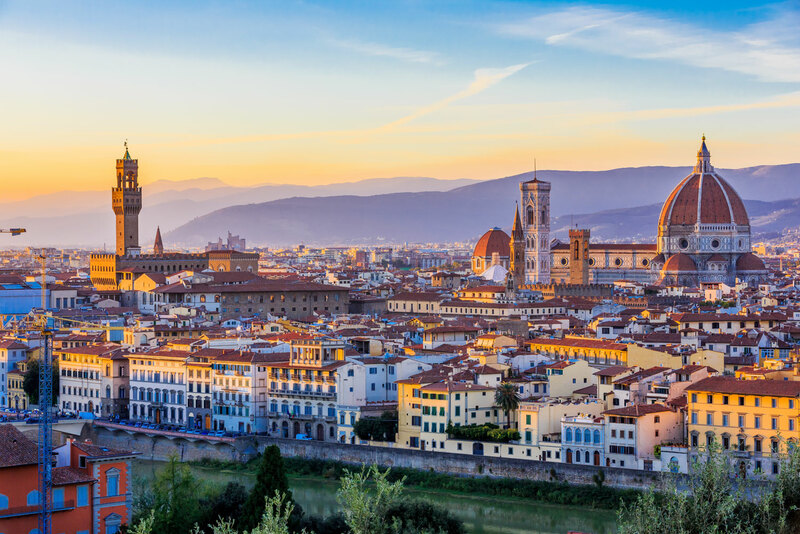 Discover why Florence in Italy ranked #28 in our countdown of ‘100 Most Incredible Cities in the World’. Culture and romance and beauty and David. While the Uffizi Gallery and the Academia are the most popular art galleries in the Tuscan city of Florence (queues at both can take hours to get through), there is a dizzying amount of art on display (look up the Stendhal Syndrome), much of which can be found in smaller and much less crowded churches and museums. The Museo dell’Opera del Duomo is filled with sculptures that once packed the Duomo and Baptistery next door. The Horne Museum is the home of the late Herbert Percy Horne, a Victorian Englishman who moved to Florence and filled his home with art by the likes of Giotto and Giambologna, which is on display along with furniture from the period. The Galleria Costume in Palazzina della Meridiana in the Pitti Palace is home to some 6000 pieces of clothing and fashion accessories dating from the 18th century to the present day, including the funeral clothes of Grand Duke Cosimo I de’ Medici and his wife, Eleonor of Toledo.